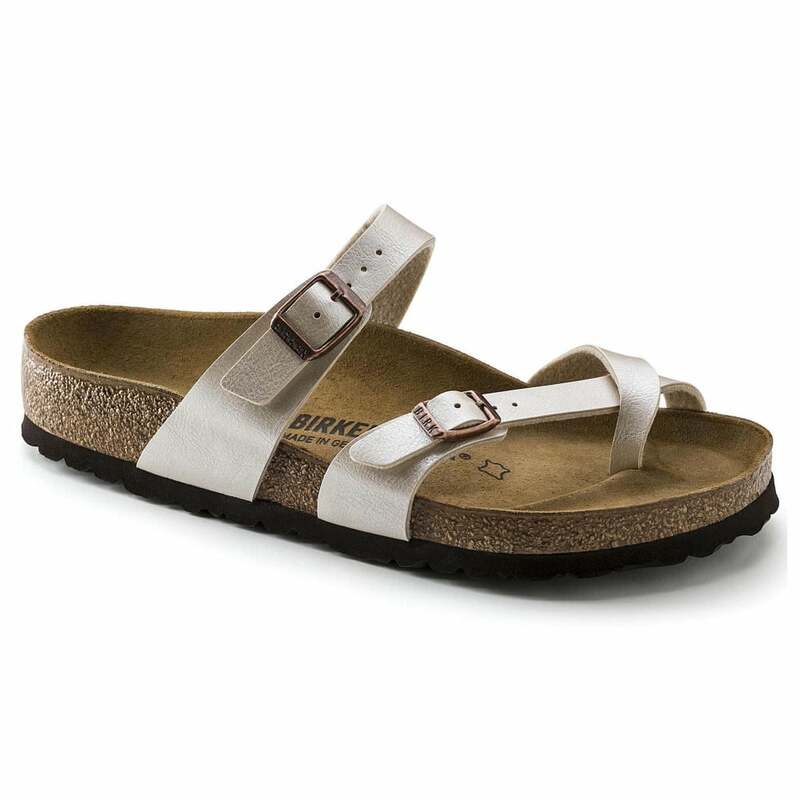 The Mayari from BIRKENSTOCK - a elegantly comfortable sandal with adjustable, crisscrossing straps that form a single loop around the toe. Classic support and adjustability, delivered beautifully. This version has been updated for Spring with colorful uppers in Graceful Birko-Flor - our easy-care synthetic material with a subtle irridescent finish. Beautiful colour, true to size & quick delivery.